Armello, the fantasy digital board game from League of Geeks, will receive its free Art of Treason update alongside The Seasons Board Skins Pack DLC for PC on November 18. 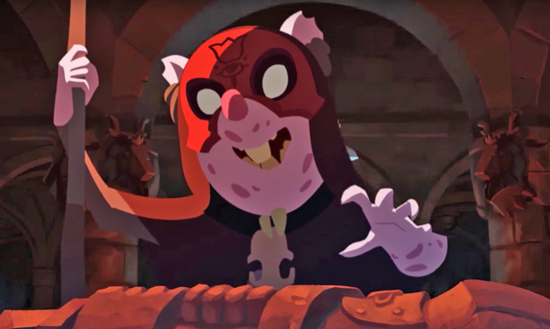 Art of Treason will add new cards, expand on the existing bounty system and more, refine the user experience and incorporate additional tweaks to Armello's captivating strategy-focused gameplay. The Seasons Board Skins Pack DLC will bring the remaining two seasons to the kingdom, Autumn and Spring, making the fight for the throne a year-round affair. The new seasons will implement visual and audio effects across the existing game board. The Seasons Board Pack will be available for $4.99 USD on Steam. To coincide with this release, LoG are launching their most requested DLC yet on Steam, new seasonal board skins. With new environmental assets, ambient effects and audio, the Seasons Board Skins Pack brings two brand new seasons, Autumn and Spring boards, to Armello's journey for the throne for just $4.99 USD on Nov. 18 on Steam. To celebrate these two releases, Armello will be 30% off on Steam until the Nov 29. Both Art of Treason and the new seasonal board skins will release on Xbox One and PlayStation 4 at a later date. Armello merges the deep tactics of card games with the rich strategy of table top and a character role-playing system. Players take turns exploring a vibrant world, battling players and vanquishing evil banes, with the shared goal of claiming the throne from the mad lion king of Armello.